Combat Text, also called Scrolling Combat Text (SCT), is text and numbers which appear when you enter combat which display the actual damage and healing that you deal and receive. Combat Text comes with Update 9 (Thieves Guild DLC) in March 2016 to PC/Mac, XBox One and PS4. The default state of Combat Text is off, so if you want to see it you’ll have to enable it in Settings > Interface and under the heading Combat Text. There are a number of different settings which you can use to customise your use of Combat Text. You can choose to display your damage, your damage over time, your healing, your healing over time and your crowd control effects. 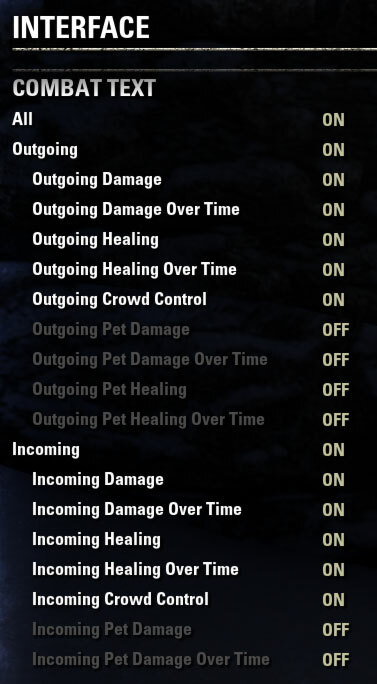 You can also display your pets damage and healing. You can control the same aspects of any incoming damage and healing as well. Combat Text also lets you know when an attack has caused critical damage by using an exclamation mark at the end of the damage number. The addition of Combat Text is the first time that console users will be able to view the actual damage they inflict, a long awaited feature. PC/Mac users can continue to use AddOns for further customisation and features. 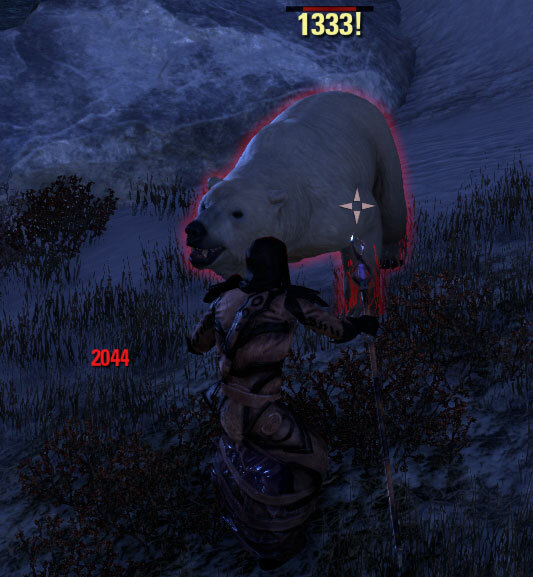 ZOS have also stated that they will continue to develop ESO with the idea that players don’t need Combat Text and will continue to improve visual cues.